After the water is added, it’s heated to the right temperature, automatically opening the detergent dispenser at the correct time. The water is shot through jets to get the dishes clean before the dirty water is drained. More clean water is then sprayed onto the dishes to rinse them, and then the appliance drains itself again. If a setting has been selected to dry the dishes, the air will be heated to do so. The main parts of a dishwasher comprise of the control mechanism which is located inside the door behind the control panel. This electro-magnet system uses a timer to determine the length of each cycle part, and proper functions at the right times. Modern units may have child safety locks or a computerised control system. The intake valve is where the water supply comes into the dishwasher, when it opens the water pressure forces the water into the appliance. The pump is powered by an electric motor which forces the water up into the pump arms. Pumps are available in two main types – reversible and direct drive –during the drain cycle the pump directs the water into the drain hose. Dishwasher racks vary from model to model, and are designed to be loaded in a specific way to make for ideal cleaning. 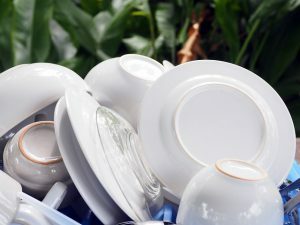 Deviating from the recommended loading plan can drastically affect the cleanliness of your dishes. Detergents are an essential ingredient and can be bought in liquid or tablet form. They work much the same as laundry detergents and consist of a mixture of ingredients for dealing with different kinds of food deposits left on your dishes and cutlery. 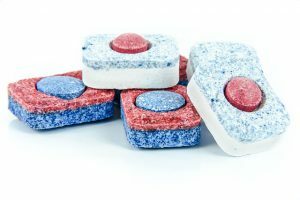 Rinse aid, a type of drying aid, has become a popular addition as it gets rid of water spots and speeds up drying by preventing water pooling in droplets on the dishes. This produces cleaner and drier dishes whilst also saving water and money. Water softeners and anti-corrosion chemicals to stop the machine from rusting, salt to reduce lime scale and to keep filters working properly are also a good idea. 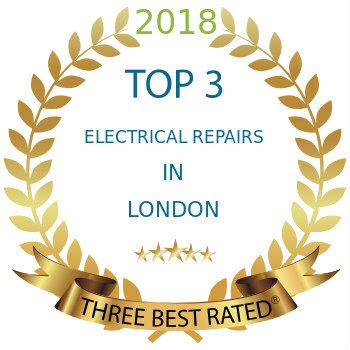 For a dishwasher repair, and appliances repair services in East London, Mix Repairs come highly recommended. You’ll get a six month guarantee, no call out charges, and a comprehensive service from beginning to end. Now you know how dishwashers work, when your dishwasher working process just isn’t right, you’ll know who to call!